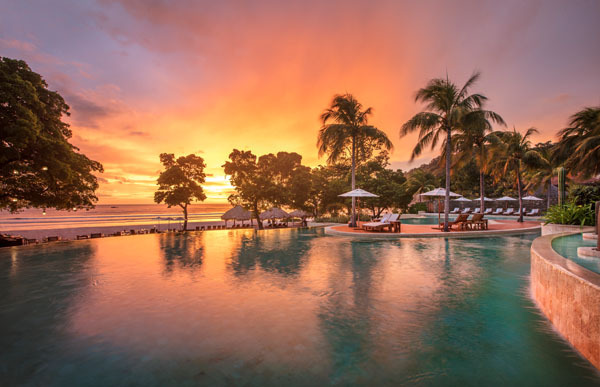 Mukul, literally meaning “secret” in Mayan, lives up to its name as a hidden paradise situated along Nicaragua’s acclaimed emerald coast. The award-winning Mukul resort by Auberge effortlessly blends luxury with a sense of discovery where guests can explore four miles of pristine beaches, world-class surfing, a renowned 18-hole golf course by David McLay Kidd and six spacious spa sanctuaries, each with a unique taste of Nicaragua. Located on 1,675 acres of blossoming southwest Pacific shore, Mukul offers both coastal and inland landscapes, each as stunning as the other. 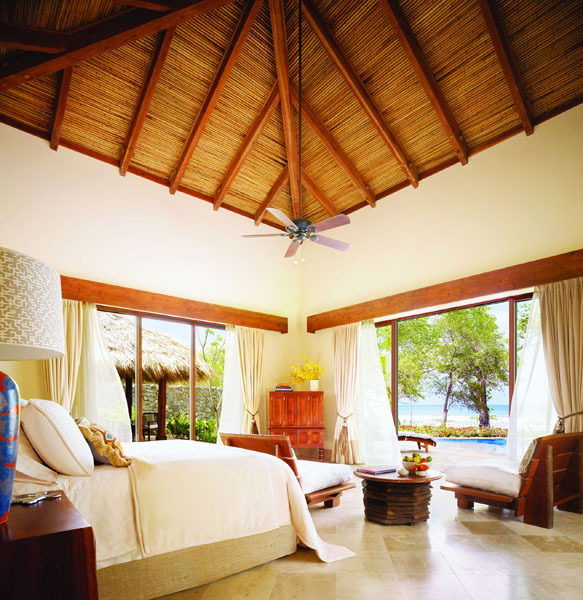 Visitors can choose from a range of guest accommodations, including twelve beach villas, twenty-three bohio suites, private residences and vacation rentals. 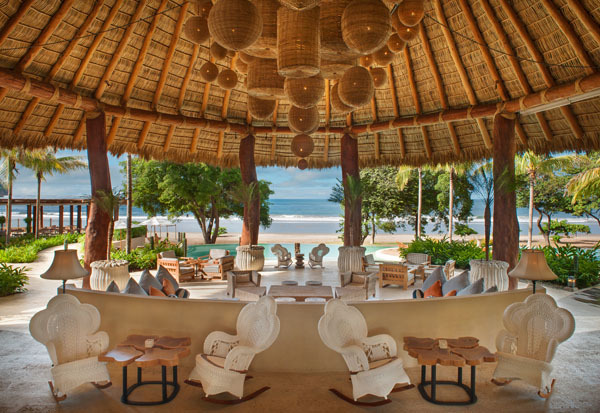 The beach villas at Mukul pay tribute to its surroundings, incorporating the tropical and rolling surf of Playa Manzanillo. Guests will revel in villas with direct access to the beach, wraparound decks, private swimming pool, outdoor lounging, secret garden and outdoor shower. The two-bedroom villas include a private kitchen, pantry and living room to accommodate families. For an advantage point, opt for a bohio suite, which is nestled like a tree house 300-feet above the beach in a lush rainforest canopy. The bohio suites include a single king bed, en-suite bathroom, outdoor teak deck, plunge pool, flat-screen TV, and floor-to- ceiling windows with sweeping views of either the golf course, mountains or ocean. Nicaragua is an uncharted paradise brimming with hidden gems, like volcanoes, beaches and islands. On the water, guests can surf, kayak, snorkel, paddle board, fish and of course swim with sea turtles, which is a highlight of the emerald waters. The land provides biking and hiking trails that lead guests through formidable landscapes. The land also offers an opportunity to enjoy golf at its absolute finest with an oceanfront 18-hole course, ideal for all skill levels. Guests can join a wellness retreat led by experts to help achieve a recharge of mind, body and soul. The yoga escape package offers five private yoga sessions, six 90-minute reformative treatments at Spa Mukul and a choice of three signature Mukul experiences. For those looking to commit to a true spa treatment, try the spa getaway package, which includes six experiences housed in six individual private spa suites, each designed to harness an ancient healing tradition used with local Nicaraguan ingredients. The dining options at Mukul span as far as the experiences, with fine dining, casual dining and custom experiences offered. La Mesa is part of the fine dining option and allows guests to experience a formal and elegant ambience along with local ingredients. During the day, try something more laid-back, like Tres Ceibas Beach Club, which offers healthy comfort food, accompanied by Latin music and views of the ocean. For a night to remember, the romantic dinner is a part of the custom experiences and includes a menu featuring the freshest selection of the day in a romantic setting on the beach under the stars. Create a memorable night, in a world-class paradise.